NEW BRITAIN - The New Britain Bees made a pair of New England based moves Tuesday afternoon that should add plenty of experience to their pitching staff. The Bees announced the signings of right-handers Manny Delcarmen and Zach Stewart. 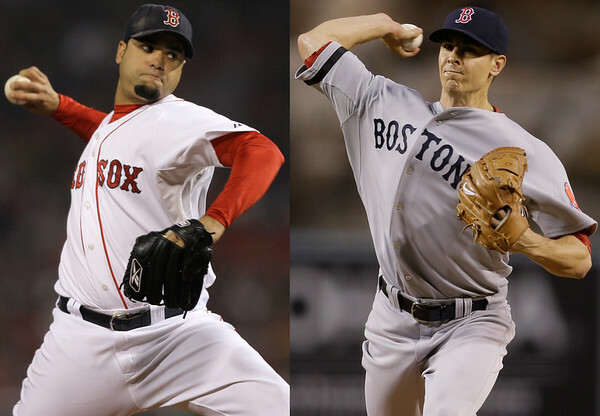 Both pitchers spent time with the Boston Red Sox. Delcarmen will be entering his 18th season in professional baseball and has a World Series ring to his name, winning a title with the 2007 Red Sox team. He finished that season with a 2.05 ERA and struck out 41 batters in 44 innings. Overall, the 36-year-old has appeared in 298 Major League games over parts of six seasons and owns a 3.97 ERA with 249 strikeouts across 292.2 innings. Delcarmen also spent time with the Colorado Rockies, Texas Rangers, New York Yankees, Baltimore Orioles and the Washington Nationals organizations. This will be his second in the Atlantic League and first with the Bees. He spent last season with the Bridgeport Bluefish, where he posted a 3-2 record to go with a 4.40 ERA, 54 strikeouts and nine saves in 57.1 innings. For Stewart, he is entering his 11th season in professional baseball and his first in the Atlantic League. Stewart appeared in seven games for the Norfolk Tides last season, the triple-A affiliate of the Baltimore Orioles in the International League and went 0-3 with a 7.41 ERA. Along with the time in the Red Sox and Orioles organizations, Stewart has bounced around. The Cincinnati Reds drafted him in the third round of the 2008 MLB amateur draft. Stewart later made his MLB debut with the Toronto Blue Jays in 2011 and also saw action in the MLB with Boston and the Chicago White Sox. In his 101 innings pitched in the MLB over two seasons, Stewart made 14 starts, going 3-10 with a 6.82 ERA. A career highlight was a complete game shutout of the Minnesota Twins, which came in the 2011 season. He was impressive throughout, fanning nine Twins batters in the performance and allowed just one hit. In his minor league career, Stewart has put together 1,035.2 innings pitched in 227 appearances, 169 as a starting pitcher. Posted in Newington Town Crier, New Britain Bees on Tuesday, 20 March 2018 21:10. Updated: Wednesday, 21 March 2018 02:29.